Something for those of us who want an alternative to orange or citrus based all-purpose cleaners. Brings the fresh smell of fresh parsley into your home. Great for kitchen countertops, and other hard surface areas. You got to smell it to believe it! Comes in a trigger sprayer bottle. 100% biodegradable. Comes in a number 1 PET bottle. water, < 5% non-ionic surfactants, propanediol, potassium sorbate, denatured alcohol, perfume and citric acid. Spray directly on to surface to be cleaned and wipe with a damp sponge or cloth. Repeat as necessary if heavily soiled.Test on an inconspicuous area first if your are unsure about whether the surface can tolerate water. 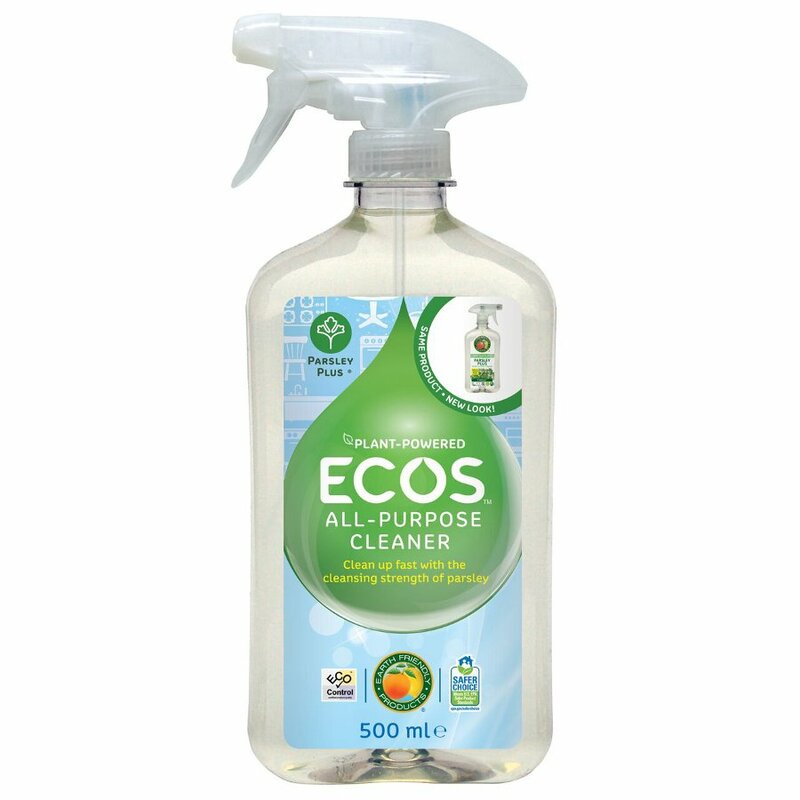 The ECOS Parsley Plus Cleaner - 500ml product ethics are indicated below. To learn more about these product ethics and to see related products, follow the links below. The parsley cleaner has a pleasant smell and seems to be leaving everything nice and clean, Iâ€™ll definitely be buying more. A very effective cleaner with a pleasant smell. I use this in the kitchen on the surfaces and it works really well. I like the smell too! 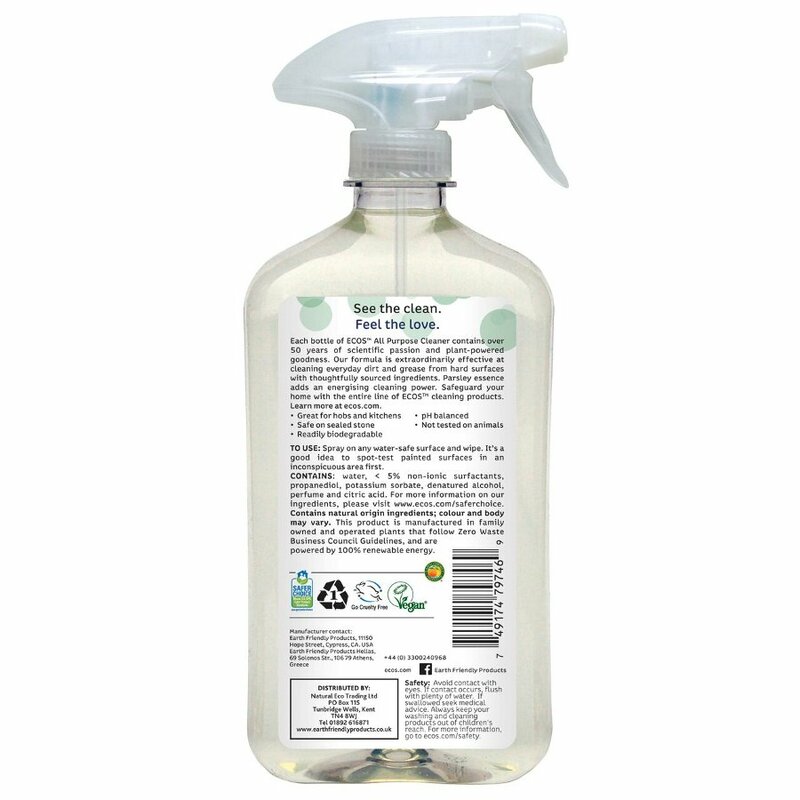 There are currently no questions to display about ECOS Parsley Plus Cleaner - 500ml.